This research aims to improve student’s mathematics achievement in learning Three-Dimensional Shape topic through Team Accelerated Instruction (TAI). This study was a classroom action research. The subjects of this study were 32 students of grade V SDN Pekayon 09 Pagi Jakarta Timur. They were consisting of 13 males and 19 females. Data collection technique was observation and test. The research instrument used teacher observation sheet, student observation sheet, and written test. Data analysis technique was descriptive quantitative and qualitative. The results indicated that there was an increase in students’ achievement in Three-Dimensional Shape material through Team Accelerated Instruction (TAI). It can be seen from the increase of the average value in all cycle. The average value of first cycle was 54.4, the second cycle was 62.2, and the third cycle was 78.8.The percentage of completeness in the preliminary test reached 21.9%, the first cycle reached 37.5%, the second cycle reached 50 % and the third cycle reached 90.6%. It has been concluded that Team Accelerated Instruction (TAI) could improve student ‘s mathematics achievement on Three-Dimensional Shapes topic. DHUHAYATUSSYIFA, Nur Fauziyah. The Enhancement of Elementary Students Learning Achievement on Three-Dimensional Shapes through Team Accelerated Instruction. 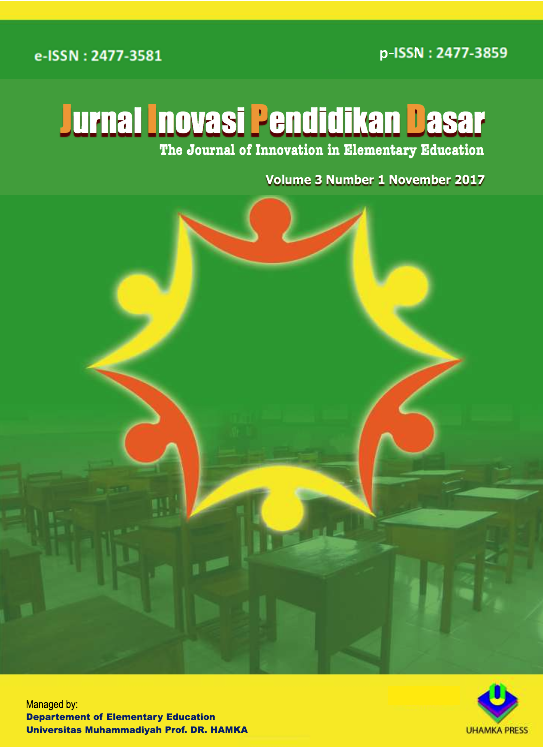 Jurnal Inovasi Pendidikan Dasar, [S.l. ], v. 3, n. 1, p. 15-22, nov. 2017. ISSN 2477-3581. Available at: <http://jipd.uhamka.ac.id/index.php/jipd/article/view/65>. Date accessed: 20 apr. 2019.